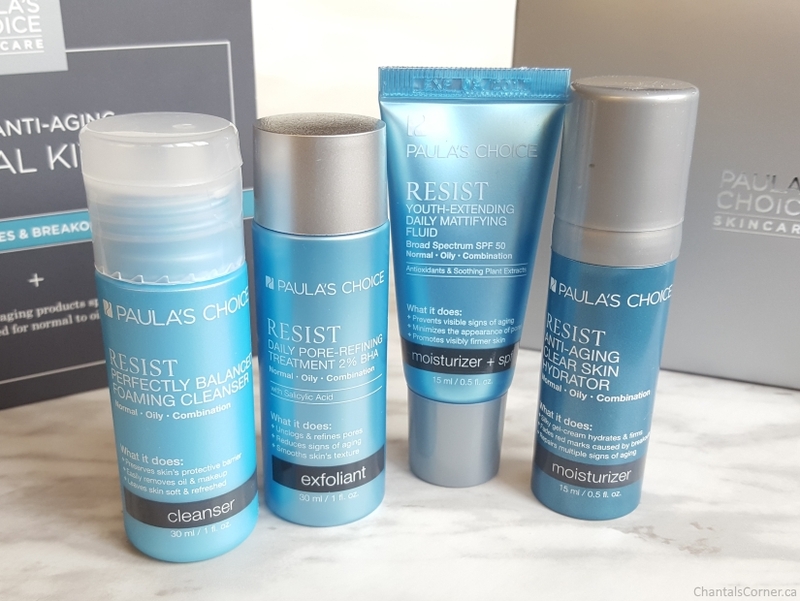 Being able to try skincare before splurging on the full size products definitely is a nice thing, and Paula’s Choice gives you that option with their Resist Trial Size Essential Kit for Wrinkles + Breakouts ($39 USD). 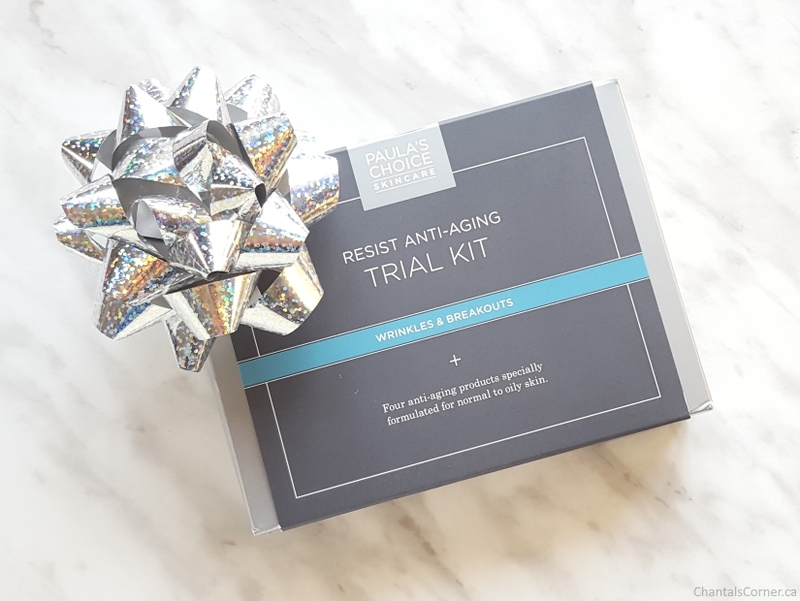 This kit is ideal for normal to oily or combination skin who want to fight or target the signs of aging while helping to improve the unique problems of temperamental oily skin. 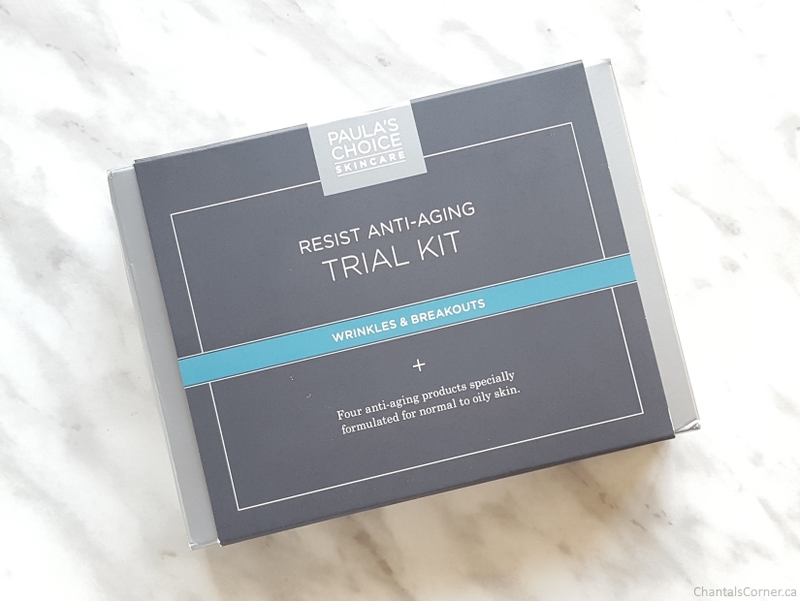 This trial kit is expected to last you two weeks (on their web site it’s called a travel kit). An advanced anti-aging cleanser specially formulated to effectively remove excess oil and makeup without disturbing skin’s barrier for smooth, soft, younger-looking skin. 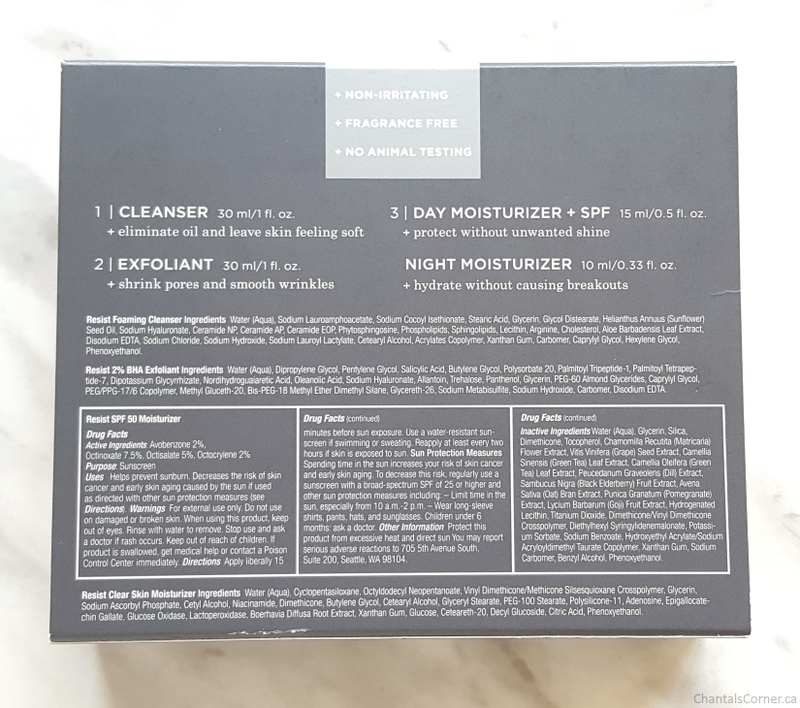 This cleanser lathers really well and the lather feels rich. It cleanses my face really well without drying it out. A daily-use liquid exfoliant that dramatically improves skin’s texture by smoothing fine lines and wrinkles, as well as unclogging and minimizing pores. I really like chemical exfoliants and I’ve used their 2% BHA Liquid before which I really loved and this one feels just the same. A first-of-its-kind lotion with a water-light, fluid texture that’s unbelievably weightless yet provides high daily broad-spectrum sun protection that keeps skin young, smooth, and healthy. This lotion is really liquid, and I mean really liquid! The first time I used it I squeezed it too hard and it came flying out of the tube and ran all along my finger and dripped onto my counter. Oops! The first time I also used this alone and I found it ok, but not quite enough by itself to fully moisturize my face. So now I apply it on top of the Resist Anti-Aging Clear Skin Hydrator (below). A silky gel-lotion that contains an exclusive complex of proven anti-wrinkle and skin-clearing ingredients to renew and restore your skin, making it look younger, even-toned, and fresh. This hydrator is wonderful! Two full pumps are enough to cover my face and neck and it leaves them feeling hydrated and soft, and not greasy. I love the smell of this product too, I find it smells like Kikkoman soy sauce. Crazy right?!? I LOVE IT! I use it day and night. This is a great kit to take along on your travels or as a gift for a friend who travels a lot. Have you tried Paula’s Choice? What are your favourite products?